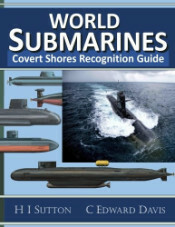 Not content to rain death and destruction from the skies with his bombers, mankind invented I.C.B.Ms which could be hidden beneath the waves in giant submarines. For a time these sea monsters roamed the world's oceans ensuring an uneasy peace. But mankind was made up of two opposing factions who sought advantage over each other. One was called the Soviet Union and was led by a man named Leonid Brezhnev who learned through his spies that his submarines were not as good as his enemy's. Paranoid and distraught, he sought a way to regain a mad equilibrium. The TYPHOON Class ballistic missile submarine (SSBN) was designed in the 1970s both as a counterbalance to the US Navy's impressive Trident missile program and as a way of making the Soviet SSBNs more survivable by hiding them under the Arctic ice-cap. 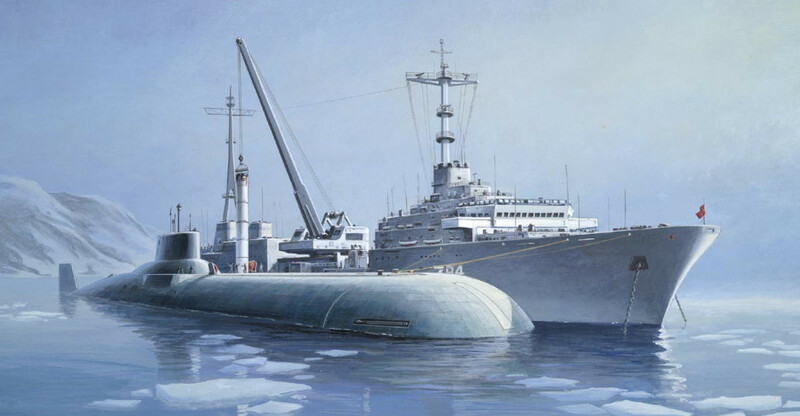 Nuclear submarines had been operating under the ice since the 1950s and it was found very difficult to track other submarines using Sonar or satellites in these conditions. 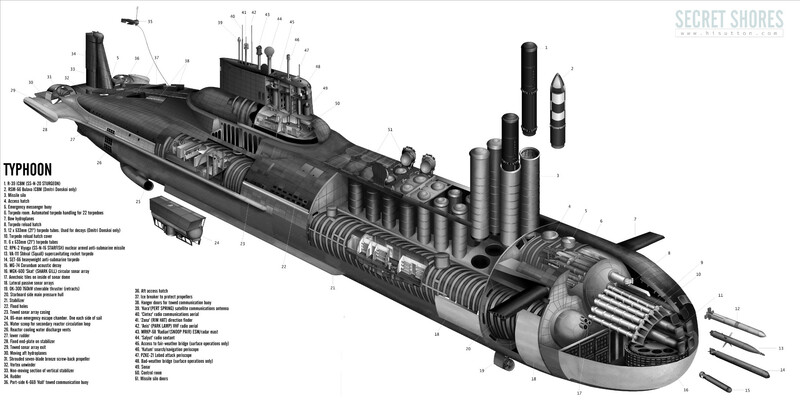 In open water the Soviet SSBNs could be followed by US and British hunter-killer submarines (SSNs) whose job it was to sink them before they'd loosed off any of their missiles. If they hid under the ice however they were relatively safe. But operating under the ice presented the very obvious problem of how to fire the missiles through it. Even nuclear submarines had to find weak points in the ice in order to surface. Firing the missiles without first breaking through the ice was obviously suicidal so the new submarine had to be built strong enough to surface through ice at a moment's notice without having to find a weak point first. This meant that the new submarine would have to be very large and strong, in fact by far the largest submarine ever built. It is often pointed out that the US Ohio Class SSBNs, themselves large and impressive boats, are even longer than the Typhoon. This is true but it is no way to measure the relative sizes of these two massive submarines. The Typhoon is simply so enormous that no other submarine is comparable. It's much wider and taller than the Ohio and displaces 48,000 tons which is comparable to the battleship Bismark not other submarines. Consequently these boats still hold a certain mystique and wonder which no other boat can match. 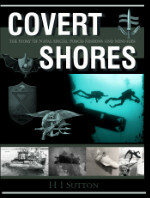 Since entering service in the early 1980s the boats have been surrounded by secrecy. 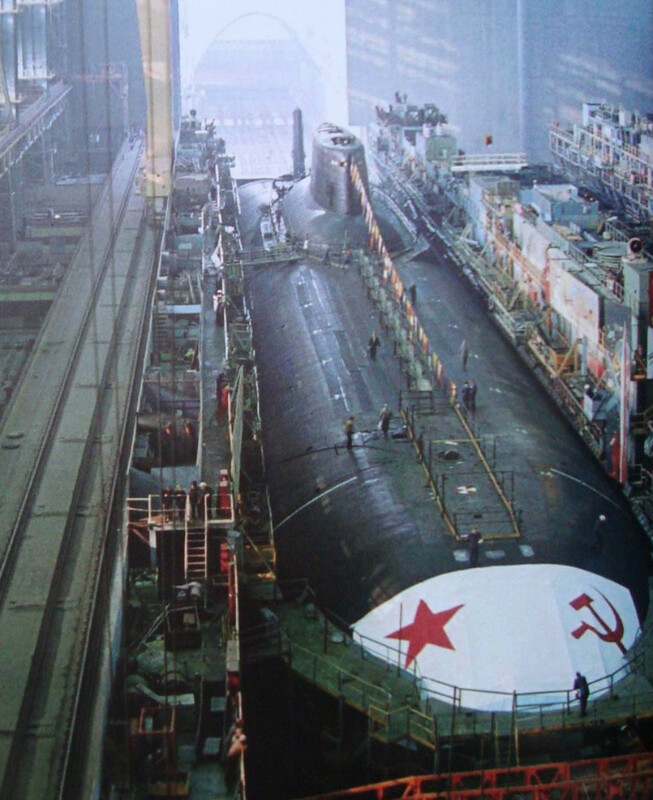 Russia made no secret of the new type's existence and relative importance, but of course almost every detail of the new boat was closely guarded. How much western intelligence officials knew in private is unclear, but in the public sphere there was a lot of speculation about the new boats which entered service at the height of the Cold War. Having run out of phonetic alphabet names to call new Soviet submarines, NATO opted for the TYPHOON Class SSBN (capital letters denote a NATO codename) because that's what the Soviet Leader Leonid Brezhnev called it. In Russian service however it was known as the Project 941 Akula class. Akula means Shark and should not be confused with the submarine that NATO calls the AKULA. Originally ten boats were planned (a number discussed with the US) but only six were ever built. 1980s US DoD illustration of a Typhoon being armed with SS-N-20 missiles in Arctic waters. 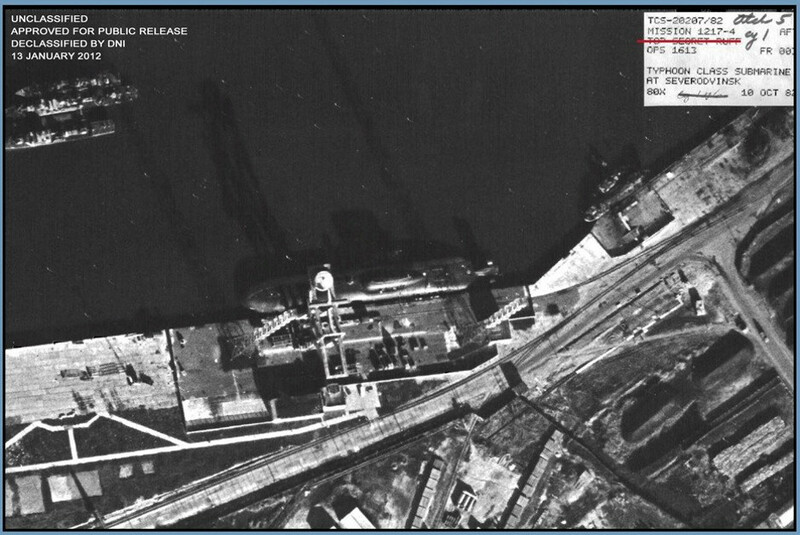 1982 US satellite image of a Typhoon in Severodvinsk, USSR. The awe and mystique surrounding the Typhoon in the 1980s allowed it to capture the popular imagination in a way that no other type could. The excellent TV film Das Boot had already made the gritty life of submariners cool and Hollywood-worthy, so it was natural that others would follow. And so as the biggest and baddest submarine in existence the Typhoon found itself in for the Hollywood treatment. The excellent Hunt for Red October was released in 1990 based on a Tom Clancy novel. Naturally a lot of speculation and a touch fanciful pseudo-technology made it into the film, but it was all the same a very decent movie which added to the boat's reputation rather than diminished it. It is often said that unlike other submarines which have a central pressure hull, the Typhoon class has two pressure hulls side-by-side. This is true, but there are also three more large pressure hulls mounted slightly above these two on the center-line. The forward one of these is the torpedo room, the center one (beneath the sail) is the command center and the rear one is for the steering gear. We'll start at the front (bow). The Typhoon class is a ballistic missile submarine so she is not designed to attack other submarines or ships, but she is still armed with a respectable load of torpedoes for self-defense. There are six tubes which are mounted in stacks of three either side of the center-line. Reports that these include two of the larger 650mm torpedo tubes is in err as they are all 533mm (21") tubes. They can fire regular Russian heavyweight torpedoes like SAET-60M, 53-56K, SET-65 and USET-80. They can also be used to fire the famous Squall supercavitating rocket-torpedo and the nuclear armed SS-N-15 STARFISH anti-submarine missiles which are equivalent to the US Navy's SUBROC. Unlike older submarines were the spare torpedoes are carried around the sides and bottom of the torpedo room leaving the center space clear for manhandling reloads, the Typhoon's torpedo room is dominated by a large automated machine in the middle. This holds two reloads per tube and is much quicker than manually reloading them. The total wartime complement of torpedoes is said to be 22. One boat, Dmitri Donskoi, has been refitted with an additional 12 x 533mm torpedo tubes mounted in an arc outside the pressure hull. These are used to fire decoys such as the MG-74 Corundum. Above the torpedo room is the main access hatch which opens up to the top of the submarine. Just in front of it is the distinctive red and white high-visibility marker buoy which would be released if the submarine was in trouble. Also in the bow, mounted just below the torpedo tubes is the massive MGK-500 'Skat'(NATO: SHARK GILL) sonar system. This is a circular array which is complemented by flank passive arrays mounted just behind the nose. The forward retractable hydroplanes are mounted either side of the torpedo room, and there is a steerable 750 kW thruster mounted on the lower starboard side. This retracts into the outer hull when not in use, and allows the boat to manoeuvre in port. The matching port-side thruster is mounted at the stern. The forward central pressure hull stops immediately behind the torpedo room to make space for the main battery of twenty R-39 (SS-N-20 STURGEON) ICBMs. These are simply massive as befits the boat. They are 16m long, weigh 75 tons each and carrying ten MIRVs up to 8,300km (5,200 miles). They are arranged in two rows of ten which unlike on other SSBNs are not actually carried in the pressure hull , meaning that all around them is free-flooding with water. Each missile tube has a hydraulically operated outer cover and then a sealing inner lid which hinge outwards together along the top of the casing. When opened, each of these lids is significantly taller than a man. It's interesting that even though the Typhoon is the largest submarine in the world, it carries fewer ICBMs than the equivalent US Navy submarines which carry 24. The number of missiles carried was actually a political consideration. Against the backdrop of the SALT (Strategic Arms Limitations Treaty) the Soviet Leader Chairman Brezhnev agreed personally with US Secretary of State Henry Kissinger that the Typhoon would not have more missiles than the Trident bloats being built for the US Navy (the Ohio Class). "There is always good and evil in the world. I am the epitome of good." "..the time of Conventional weapons has past"
Buried within the outer casing (a 'double hull' configuration) and running either side of the missile battery are the main pressure hulls which run most of the length of the hull. They are narrowest at this point and, contrary to early speculation, are not two DELTA Class SSBN hulls. These hulls feature long and comparatively wide corridors and have at least two floors. The walls are covered in 1980s Soviet-chic laminate wood and the floor is painted green. There are several internal bulkheads along the passageway with large circular doors in them. Behind the line of vertical missile tubes the central pressure hull starts which contains the control rooms and captain's accommodation. This sits slightly above the two main pressure hulls and is connected to both. I am not sure of the exact location but it seems likely that the submarine's small gym and swimming pool(!!!) are also in this central section. There is also a sauna, and messes with vintage Communist arcade machines. 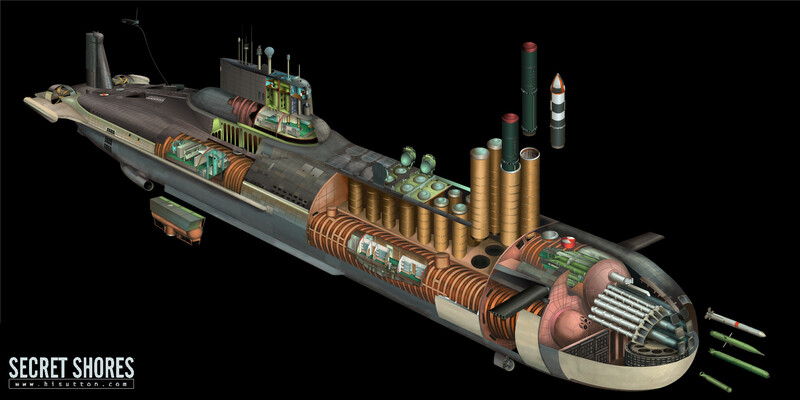 These features emphasize that Soviet nuclear Submarine forces were an elite branch who were allowed many luxuries virtually unknown to the regular forces. 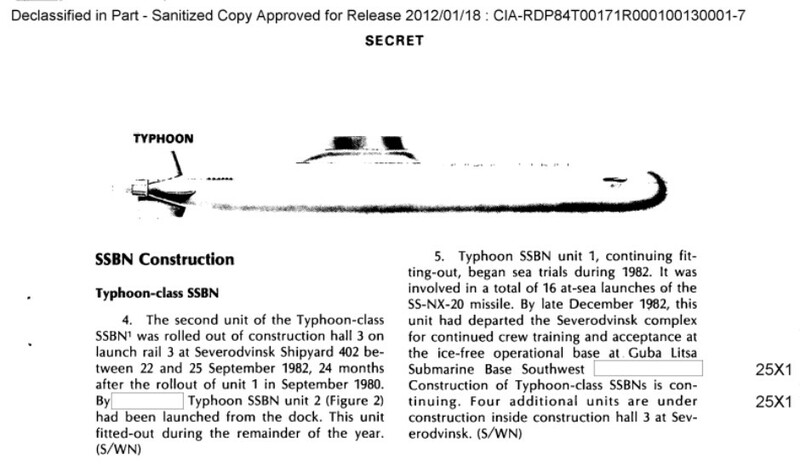 As the CIA noted in a 1986 intelligence assessment (PDF) the TYPHOON was uniquely designed with the…. Capability of carrying both offensive (missile) and defensive (torpedo) armament totally within the submarines outer hull envelope but external to its main pressure hulls. This allows the design to be developed for other purposes without disrupting the pressure hulls and with little or no change to the submarine’s hydrodynamic characteristics. The control room is situated immediately below the forward part of the massive sail and is similar to those on other large submarines. There are two periscopes, the smaller needle-thin attack scope furthest forward, and the larger search scope at the back of the control room. These hydraulically operated optical periscopes retract through the control room like you see in the films. Despite the submarine's colossal dimensions the periscopes themselves do not appear to be significantly longer than on other boats. The control room has walls of dials and control stations with a plotting table off to one side. Going slightly further aft there is a ladder which leads up through a cylindrical tube to the top of the sail. Somewhere in here is a space to store several Igla-1 (SA-16 GIMLET) shoulder launched surface to air missiles ('MANPADS') for use against enemy helicopters or maritime patrol aircraft if the sub is caught on the surface. Although the sail is massive, it is jam-packed like on other submarines and there is barely room at the top for the fair-weather bridge position. In fact the bridge position has the search periscope coming right up through the middle. The front section of the sail houses a sonar with a small bad weather conning cabin above it. This has wooden slatted floors and is completely flooded when the boat submerges. Either side of the sail is a large escape chamber which can accommodate an incredible 85 men in the event of abandoning ship. The ship's crew of 162 men (52 officers, 85 non-commissioned officers (NCOs) and just 25 ratings) would divide between the two chambers. These are entered from the bottom somewhere near the junction of the central control room pressure hull and the main pressure hulls running along each side of the boat. The rear section of the submarine also mounts not one but two towed sonar arrays and there are two hangers for towed communication buoys in the aft casing approximately over the reactors. These look like small aeroplanes and are towed like underwater kites so that the submarine does not have to come up to periscope depth to communicate with the outside world. After the cold war these boats came in from the cold, but much of the mystery surrounding them remains. 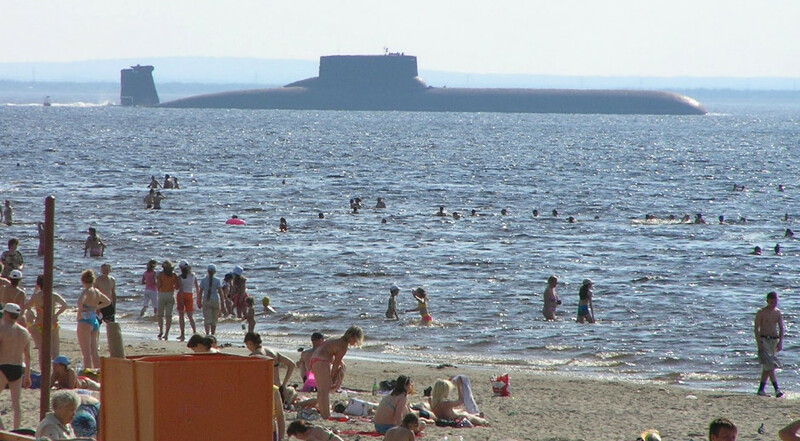 Clearly these Russian holiday makers think the sight of the sun is even rarer than the submarine! The Typhoons were massively expensive to build and maintain and so were early casualties of the post-Cold War defence cut-backs. Some were scrapped and only one remains in active service although two more are in reserve. The remaining boat, 'Dmitri Donskoi' is also used as a test platform. The main SSBN currently in Russian service is the more conventional (although impressive in its own right) DELTA-IV Class, and the latest Borei SSBN also having a conventional layout. It seems likely that no submarines this large will be built for many many years to come, and for that reason it will always hold a special place in the history of submarines.